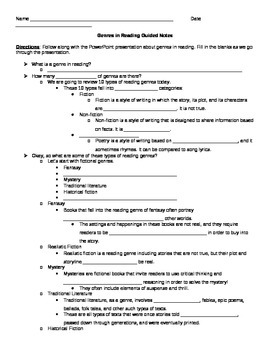 This guided notes handout goes along with my Teaching Genres in Reading PowerPoint presentation. Look for it in my store! The "answer key" is the PowerPoint itself!